​You may be thinking about your holiday spending money and what you will bring to Ayia Napa with you. 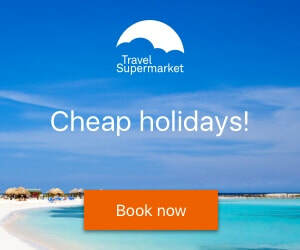 ​There are a variety of options of how you can get to your money whilst in Ayia Napa and what you can bring with you. How Much Spending MOney Will I Need in Ayia Napa? How much money to bring with you to Ayia Napa really depends on what you plan to do whilst you are there. If you are self catering or B&B you will need to calculate the cost of food but if you are all-inclusive you will spend less on food. If you intend to go to lots of events or do lots of excursions and activities, you will need more than if you just want to lay on the beach every day. As a rough guide, breakfast and lunch would cost you €3 - €10 and dinner €10 - €25, if you also buy snacks then food each day could cost you anything from €15 - €50 depending on where and what you eat. Drinks in bars and clubs are usually between €2 - €7 per drink. Drinks at the beach are often the same or more than the night time bars. Local drinks are cheaper than imported drinks. Events can cost between €20 - €50 per event and excursions/day trips are usually also between €10 - €60 per activity. Using debit and credit cards in the cashpoint / ATM machines. There are many banks all over Ayia Napa where you can withdraw money, including branches of Bank of Cyprus, Hellenic Bank, Alpha Bank, National Bank and UBS. Most international cards can be used in any ATM in Ayia Napa. You will most likely be charged a transaction fee by your bank each time you withdraw money so you might want to look into the fees before you travel. Also consider what would happen if you were to lose your card. 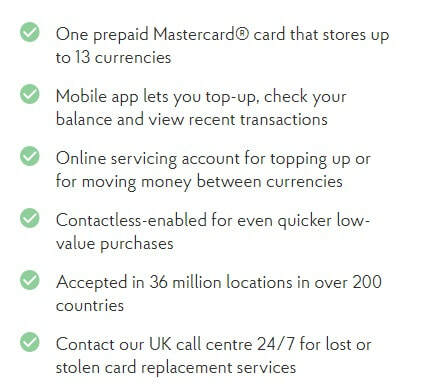 Make sure you have contact numbers for your bank should you need to cancel your card from abroad. You may be left without access to your money for the rest of your holiday in Ayia Napa so plan to have a back up source of cash should you need it in an emergency. Bringing cash to Ayia Napa. You might consider bringing all your spending money in cash. This makes it easily accessible and easy to see how much you've spend without running into an overdraft. It's also easy to lose or spend too quickly though. Safety deposit boxes are available in most hotels and apartments but you may want to ensure you have access to back up funds should you lose or run out of money. You can order your Euros from the Post Office and have the money delivered to your door. Pre-paid currency cards allow you to pre-load a set amount of money onto a card in Euro's which you can then use as payment for goods all over Ayia Napa just like a debit card, or at the ATM machines without paying the huge fees your own bank usually charges for overseas transactions. You can apply for a pre-paid card through The Post Office among others. If you run out of money whilst in Ayia Napa and need someone at home to send money out for you, you can do this through either Western Union or Moneygram. Both have collection offices in Ayia Napa. Western Union can be collected at Bank of Cyprus, Alpha Bank, Co-op Bank, Genesis travel agents and Bluestones car hire office. Moneygram can be collected from the post office or from the stop and go kiosk by the traffic lights.